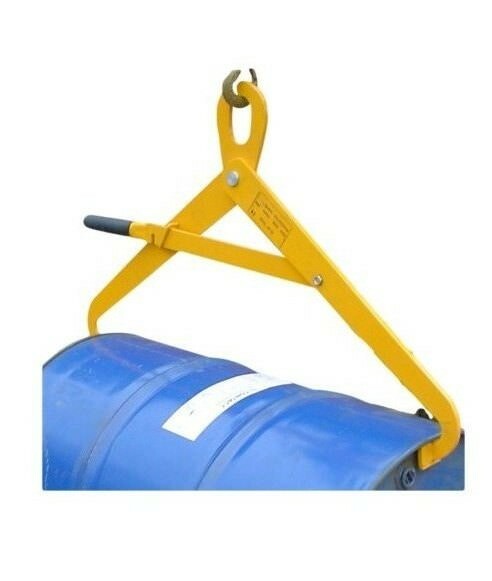 This semi automatic horizontal drum tong has been designed for handling drums in the horizontal position. 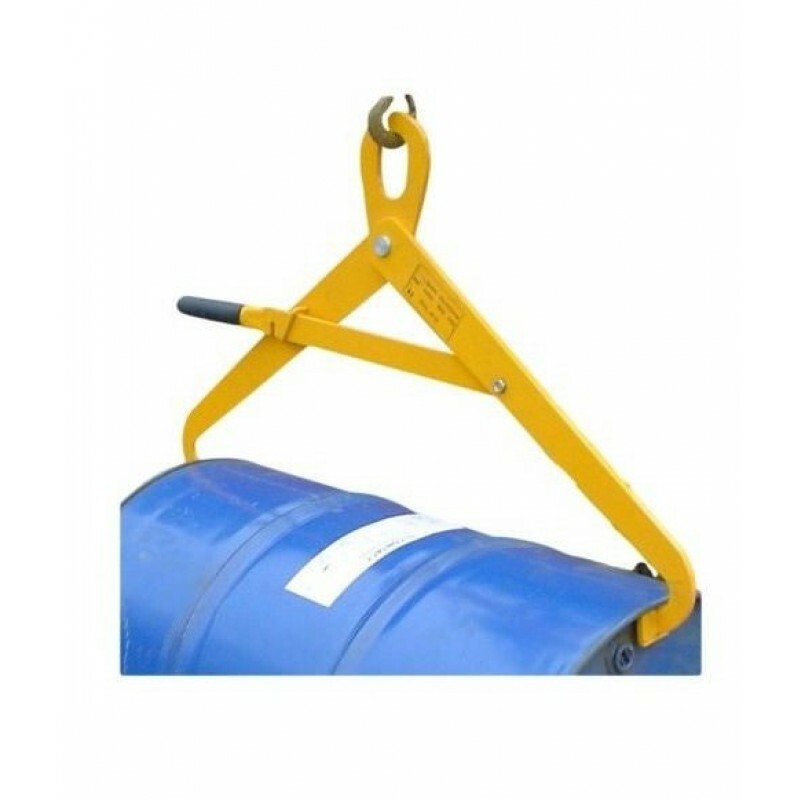 The simple yet effective design of the horizontal drum tong relies on the weight of the drum on the jaws to prevent the drum from slipping out. For operation the locking lever is simply set in the locked open position. When central over the horizontal drum, the lever is released to allow the hooks to fall and locate under both rims. Drum tong hooks safely engage when lifted and disengage when the drum is set down. 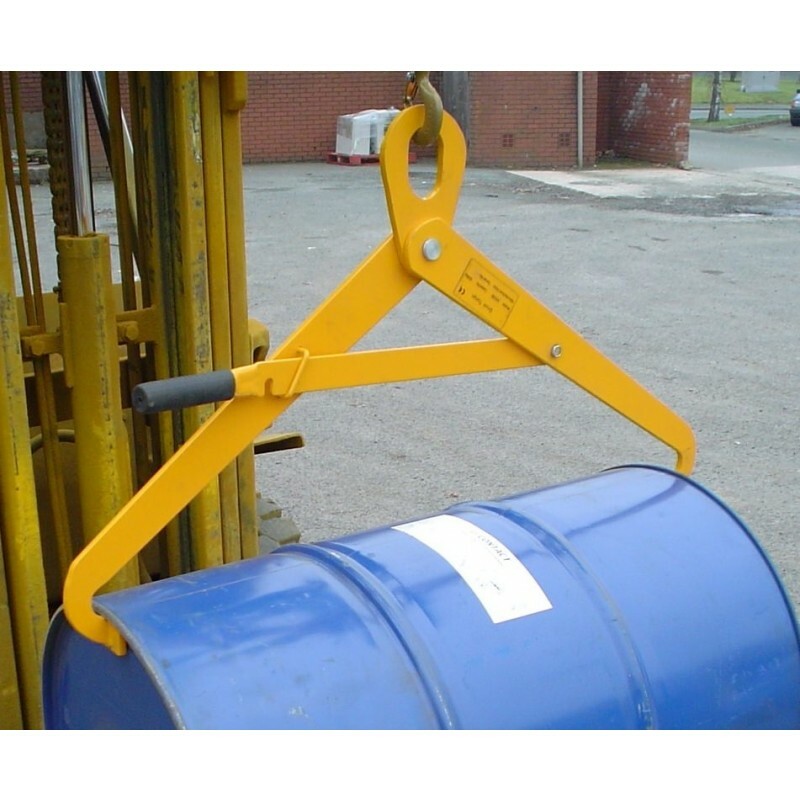 With a mild steel construction, the drum lifting tong is painted in yellow for added visibility, and like all our forklift attachments, comes supplied fully tested and certified for compliance with the latest Health & Safety Regulations.